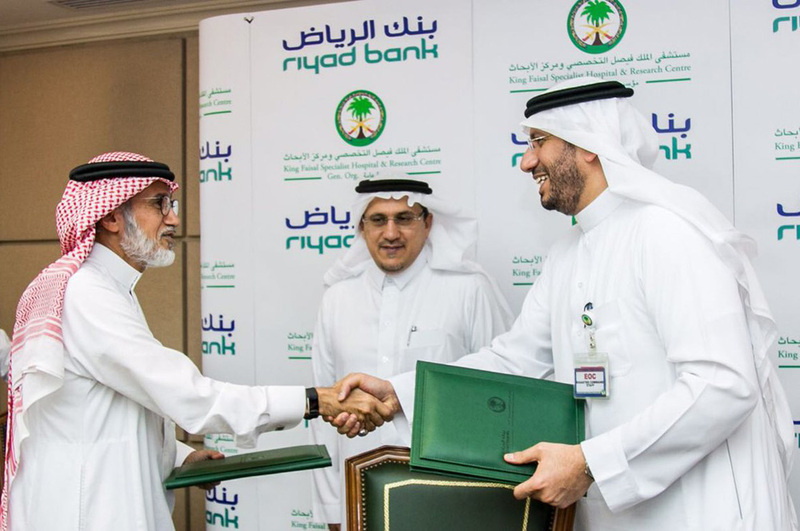 The General Organization of King Faisal Specialist Hospital and Research Centre (KFSH&RC) in Riyadh, on Wednesday the 23rd of May 2018 coressponding the 8th of Ramadan 1439 H, has signed a partnership agreement with Riyad Bank to support all programs of the Centre for Autism Research (CFAR) at the Hospital for the next 3 years, by meeting its operational costs. The partnership aims to enhance and improve the quality of services for beneficiaries. The signing ceremony was attended by the Governor of the Saudi Arabian Monetary Authority, Dr. Ahmed Abdulkarim Alkholifey, the Chief Executive Officer of the General Organization of KFSH&RC Dr. Majid Alfayyadh, the Chairman of Riyad Bank, Eng. Abdullah Mohammed Al-Issa, the Director of Centre for Autism Research at KFSH&RC-Riyadh, Dr. Hesham Aldhalaan, and a number of banks and hospital officials. Dr. Alkholifey lauded the Riyadh Bank’s pioneering step of sponsoring and supporting the work of the Centre for Autism Research and its monumental role in serving the community and supporting social responsibility programs. He called everyone to adopt such humanitarian and developmental initiatives that help build a harmonious and healthy society on a sustainable basis. Dr. Alkholifey wished good luck to the doctors, and health and other administrative staff of the centre for achieving a greater success in serving children with autism and their families and in publishing more research articles and studies related to autism. For his part, H.E. Dr. Alfayyadh said that this agreement had important developmental dimensions since it is a part of effective partnerships of the general organization of KFSH&RC-Riyadh with the private sector in supporting scientific and applied research in the medical and health-related fields in addition to training and qualifying Saudi medical staff and supporting the prevention programs. He emphasized the importance of such support in serving an important segment of the society, namely children with autism spectrum disorders, which deserves advanced care with advanced levels of diagnostic, therapeutic, and rehabilitation services from our health and service institutions. Praising the active cooperation of Riyad Bank in serving the society he said that this step helps us achieve one of the goals of 2030 Saudi Vision. The Chairman of Riyad Bank, Eng. Al-Issa, stated that the Bank's support to the Centre stems from the Bank's mission to serve the community and to support the special groups that form an extremely important component of the community and that must be adequately cared for and supported. He mentioned that the Centre for Autism Research is among the selected centers that are supported by the Bank. This is because he firmly believes in the critical need for enhancing research on children with autism for a better diagnosis and treatment of the disease and a provision of appropriate environment for their care and well-being. Eng. 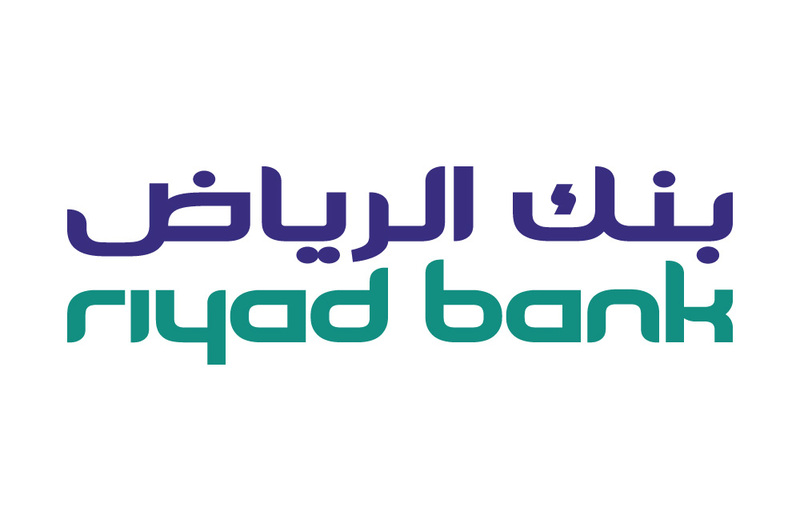 Al-Issa mentioned that the agreement between Riyad Bank and KFSH&RC-Riyadh was a result of extensive planning and preparation for developing programs to be sponsored by Riyad Bank to provide maximum benefit to the target groups. 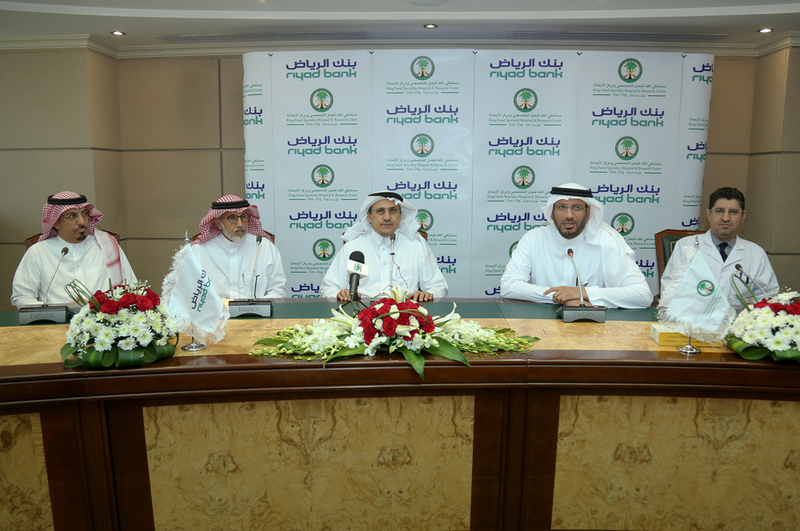 Dr. Aldhalaan praised Riyad Bank’s leadership in corporate social responsibility. He stated that this agreement was indicative of the glorious role and achievements of the Centre for Autism Research in serving children with autism. He further stated that the Centre aims to raise the number of children diagnosed with autism and the number of specialists trained on scientifically proven methods of intervention for people with autistic spectrum disorders. Dr. Aldhalaan also highlighted the Centre’s plan to Saudize scientifically proven training programs such as applied behaviour analysis and sensory integration to achieve self-sufficiency in line with the 2030 Saudi Vision.